One of the most famous of all of Wall Street’s trading strategies is “Sell in May & Go Away”. 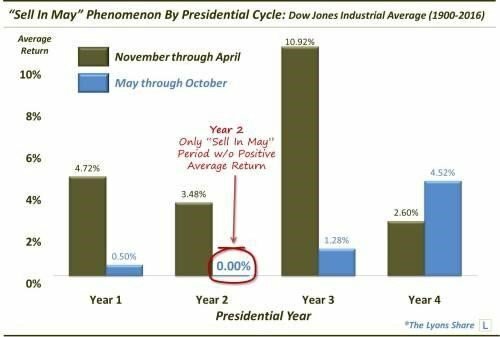 The saying refers to the tendency of stocks to perform worse during the 6 months from May through October than they do from November through April. Plus, as mentioned, unlike many seasonal tendencies that lose their effectiveness over time as the edge gets arbitraged away, the Sell in May pattern has held true even as of late. For example, 7 of the last 8 years, 11 of the last 13 years and 19 of the last 24 years saw the Dow stronger from November-April than from May-October. So, is there anything that bulls can hang their hat on during the forthcoming 6 months? Well, first of all, despite the fact that May-October has generally lagged its 6-month counterpart, the historical average return for the period is still positive. So, it’s not like the whole period has been a disaster, though there have certainly been some of those. Regarding the Dow Jones Industrial Average over the next couple of months. 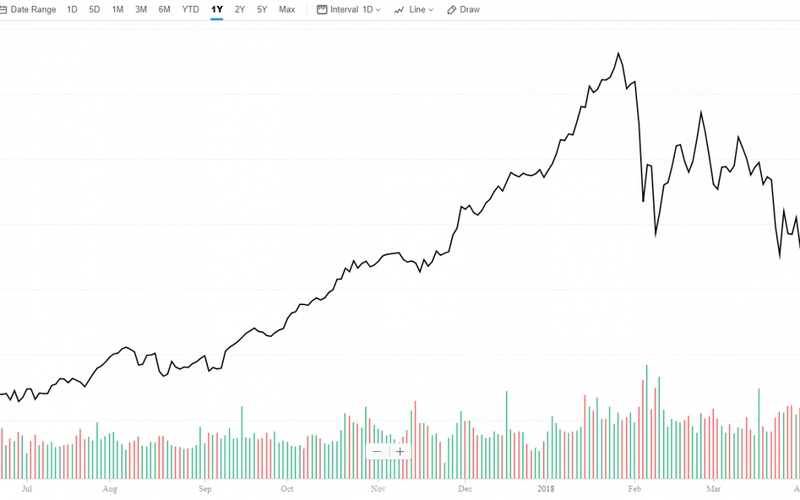 The Dow made a new low during April so that qualified as a 3-month reaction on an intraday basis but not on a monthly closing basis leaving March as the lowest monthly close. The market is still trading based on the propaganda from the talking heads on TV that higher that interest rates are bearish (they are not). In fact, there is conclusive evidence suggesting that as long as they rise slowly, they can be bullish. The Weekly Bearish remains the underlying support to watch at 23250. We remain in a consolidation period into June. The bullish all out reversal from Februarys decline will occur at Dow 25310 and a powerful bullish statement would be closing above 25450. Only a Weekly closing below 23250 will suggest a monthly test in the mid 22000 zone again. I see volatility rising going further into May is an important global economic turning point that is much more significant beyond just stock markets. However, resistance will begin to now form in the 25300 level. We must break through this area to imply a sustainable rally moving forward. So, please do not bet the farm or go away. There is no need to hide as everything will be ok. Besides, we have the Wealth Preserver and Wealth Preserver International that are tracked to keep you safe and profitable.